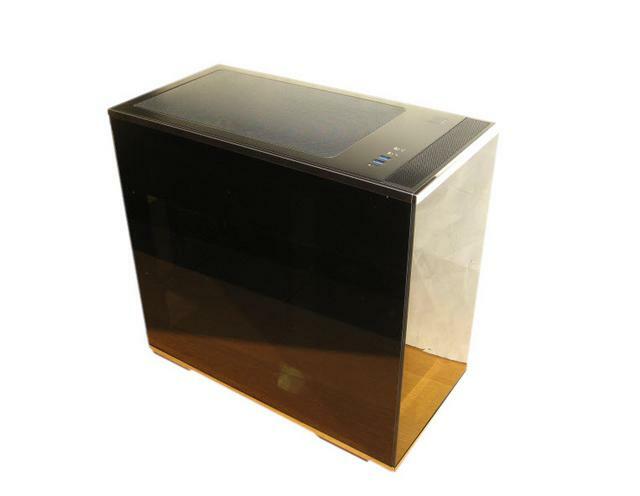 Today we will try for you a very interesting product that boasts an excellent build quality and uses the concept to put everything in sight thanks to the three bulkheads equipped with tempered glass. 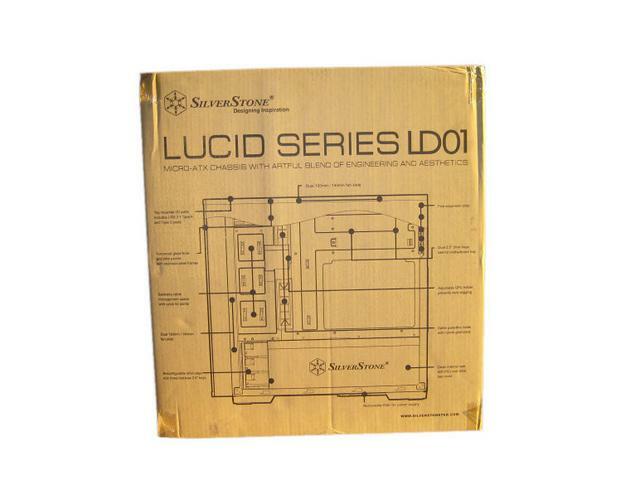 The Silverstone LD01 catering to micro-ATX and mini-ITX users. 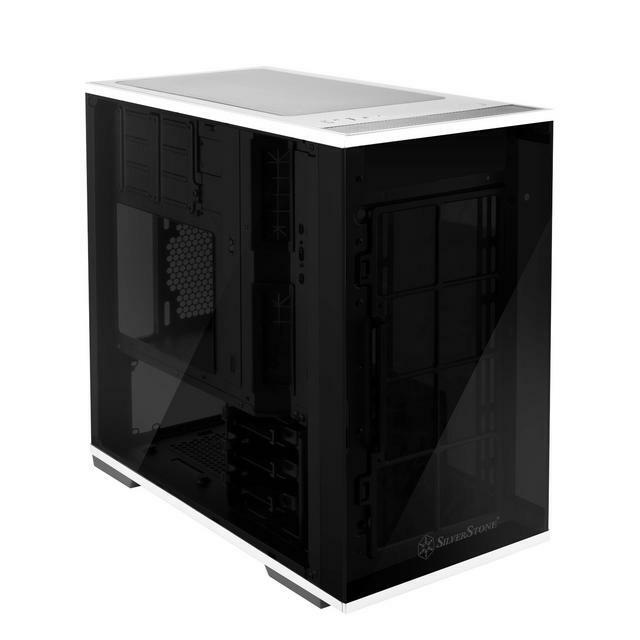 It retains a tower design but has a considerably smaller footprint than your average mid-tower or full-tower case, but as most of you will know that's not really a limitation with regards to the power of hardware you can cram inside. 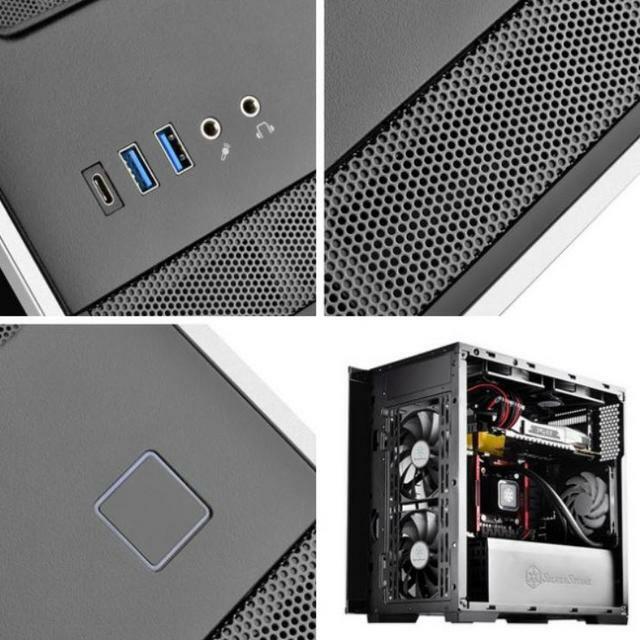 As we will notice, as all Silverstone products, there is an ample work of the manufacturer in the care of details, the case is easy to disassemble and has a large modular design, which can not go into the background. 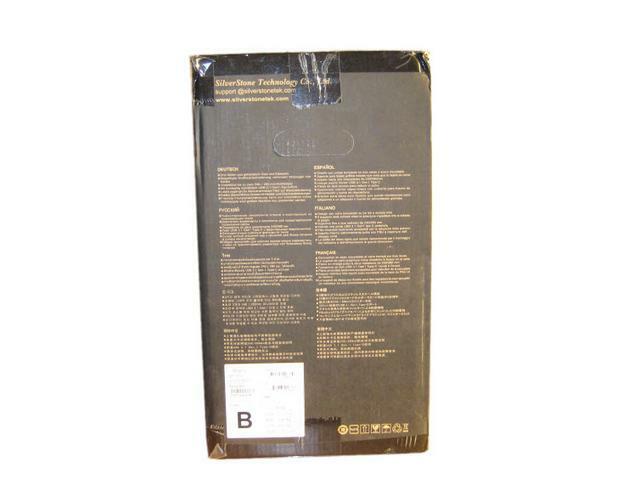 The case ships in a plain brown cardboard box. It shows a nice black photo of the product. At the front side, the company's name is present on top of the box. 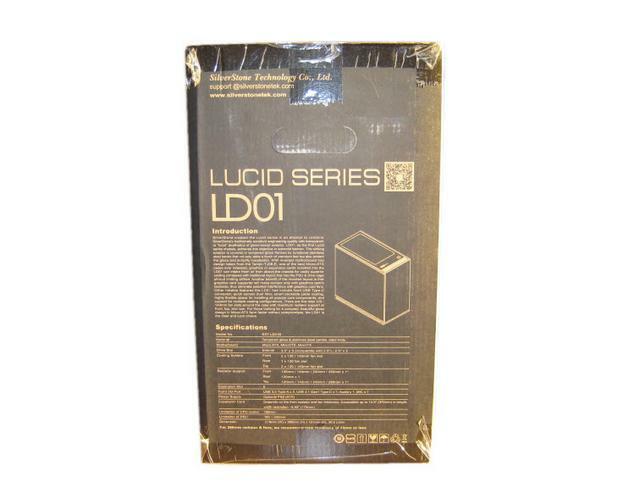 The model name "LD01" is located below the company logo, as you can see from the below picture. On the rear, an image of the interior is meant to prepare and entice you for what is inside. 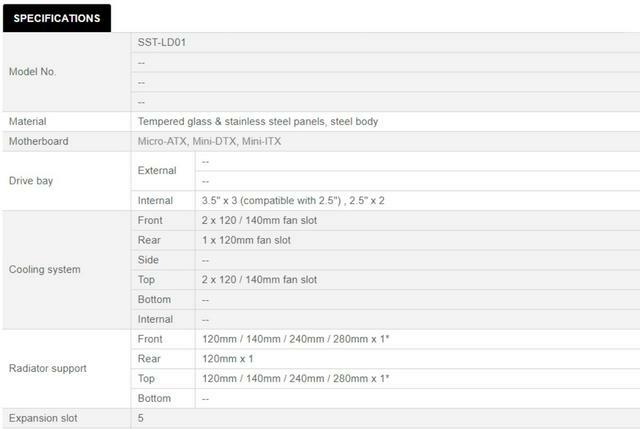 You will find some additional information and specifications of the chassis on the more compact panels. 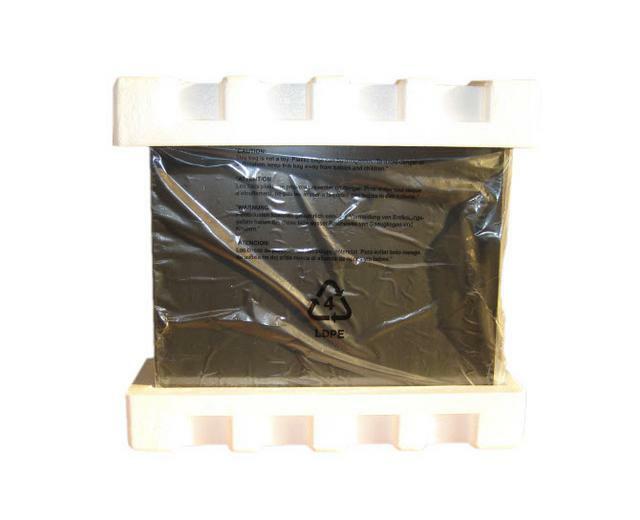 Compact but sturdy Styrofoam spacers hold the chassis in place, with a plastic bag protecting it further. You will get a basic set of extras consisting of a bag of screws and an warranty paper. In my mind this is one beautiful looking case. The LD01 is made of metal and glass. The chassis has dimensions of 218(W) x 390(H) x 431(D) mm for a net weight of 7.45 kilograms. The Silverstone LD01 follows the current glass trend. 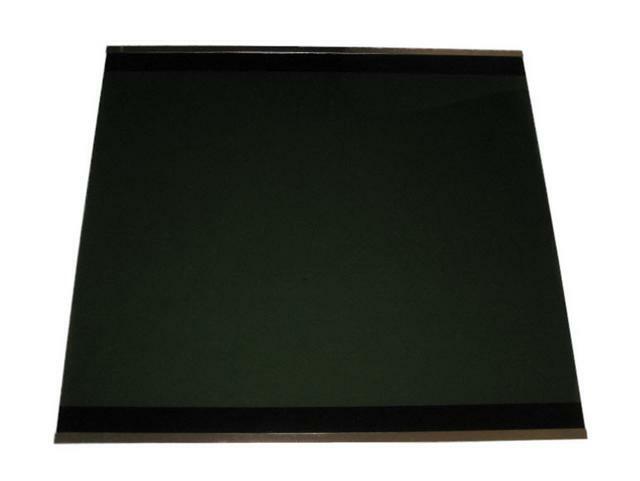 A careful eye will immediately notice the three 4mm translucent black tempered glasses. 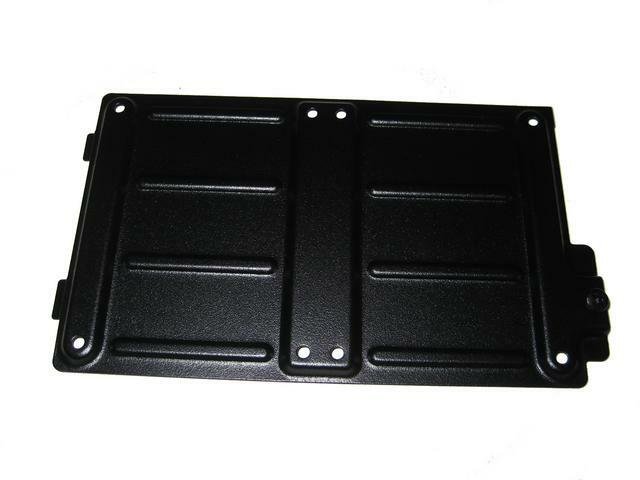 This emphasizes the attention of the manufacturer to the design. The side glass is completely transparent. We find a film, like on all the glass, dedicated to protection from scratches or fingerprints. As usual, I advise you to remove them only after finishing the assembly. And after pulling off all the protective film on the glass here with have it. Unlike other glass side panel enclosures, the LD01's advantage of using stainless steel edging is the ability to mount glass side panels with rails like traditional chassis. 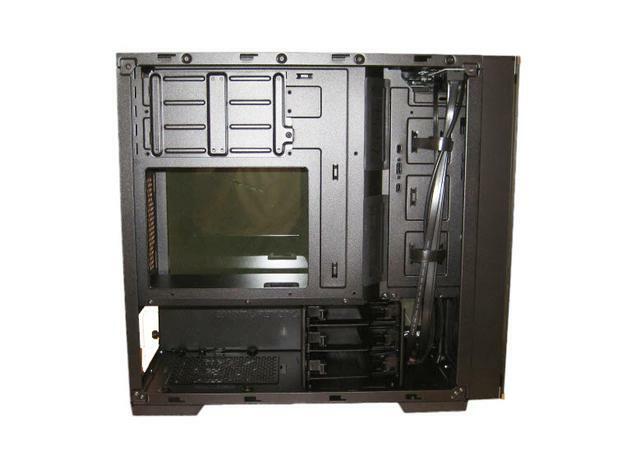 Unlike other glass side panel chassis, four screws are required. This is indeed a win-win and smart design. 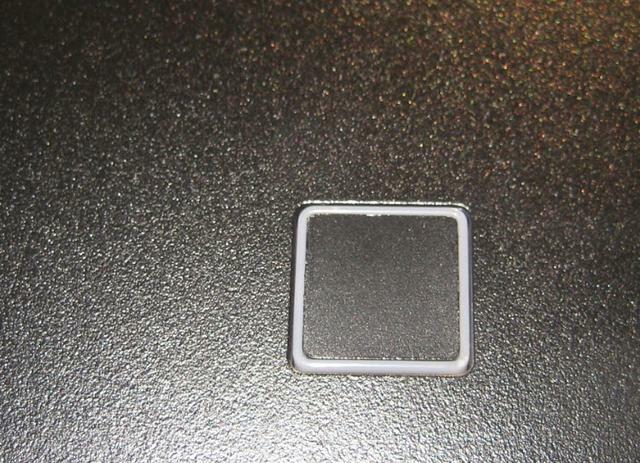 The opposite side also incorporates a tempered glass side for the same purpose. The front of the chassis is also tempered glass. 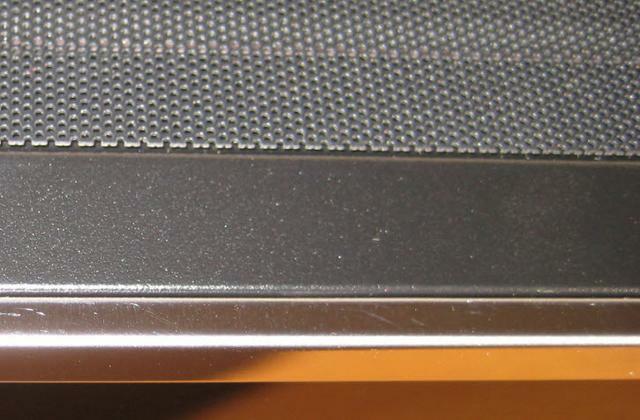 At the bottom of the front panel, there is a Silverstone logo. The top end has an air inlet. Here we get a close view of the I/O shield, and going from left to right: The 3.1 Gen 1 Type-C connector, two USB 3.1 Gen 1 Type-A connectors, mic and headphone 3.5mm plugs. The power button, which has the white LED for power behind it. 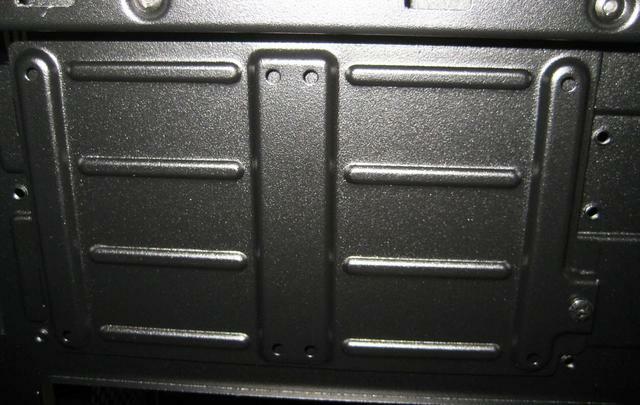 The top of the chassis is made by a common galvanized steel plate with a large opening on it. 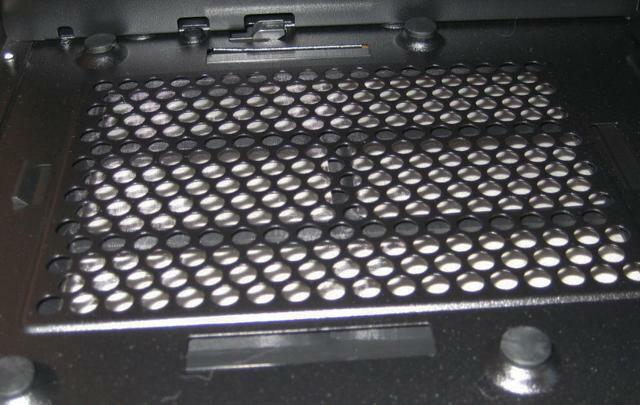 The upper part of the cover serves as dust protection and is magnetic. Removing it will be easy for the user to assure fans or a radiator. At the rear of the chassis, there is an obvious inverted structure. There are 5 PCI slots. Let's take a look at the bottom of the case. The legs are attractive design and topped in rubber pads. 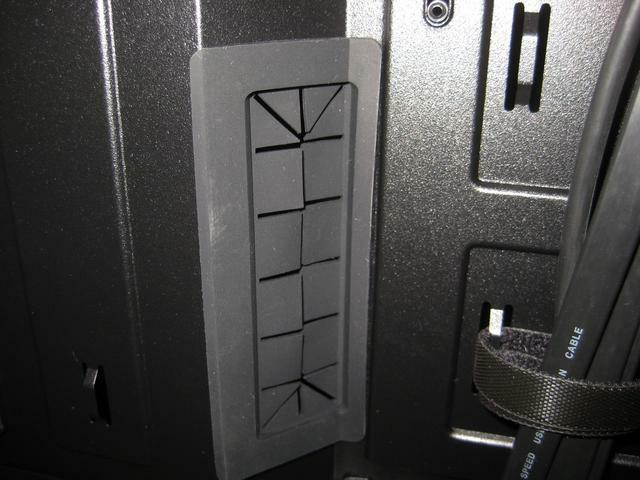 There is a set of mounting holes for the removable hard drive cage. 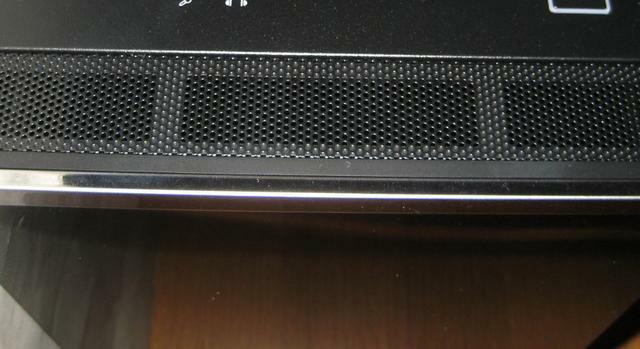 A quick-disconnect dust filter is present at the bottom of the case. To access the interior, you will have to remove two screws on each panel. We see that its interior is completely painted in black. The interior is very tidy, because the power supply and the hard drives are here separated by a cover from the rest of the system. 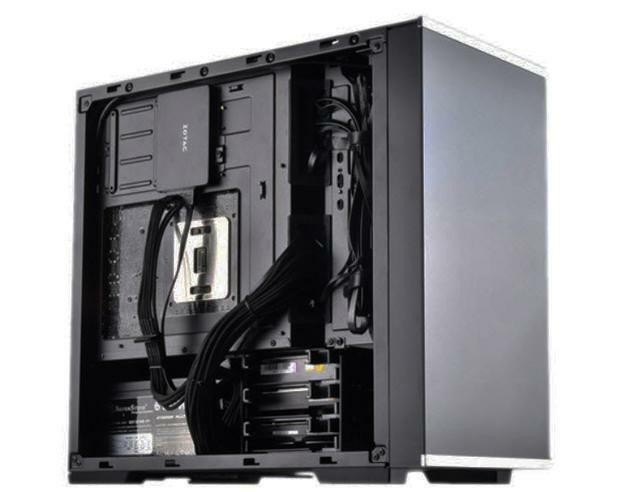 The case supports Micro-ATX, Mini-DTX and Mini-ITX motherboards. All the cables within the case are of the default variety and black to go well with the rest of the chassis. The basement in this case is where you can put your PSU, and hide all the cables. 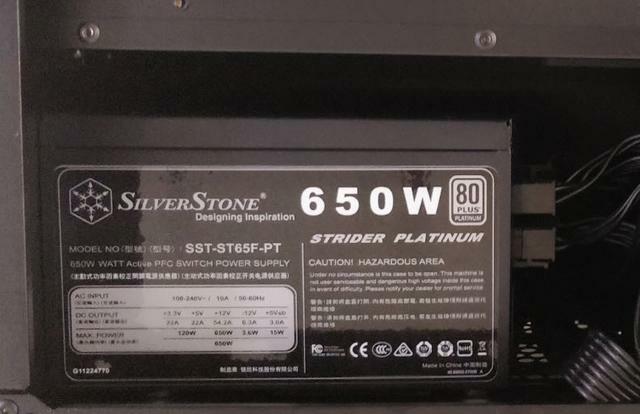 The Silverstone logo on the side of the power supply cover adds a touch of texture on it. The cover has a large cable gland with rubber protection. 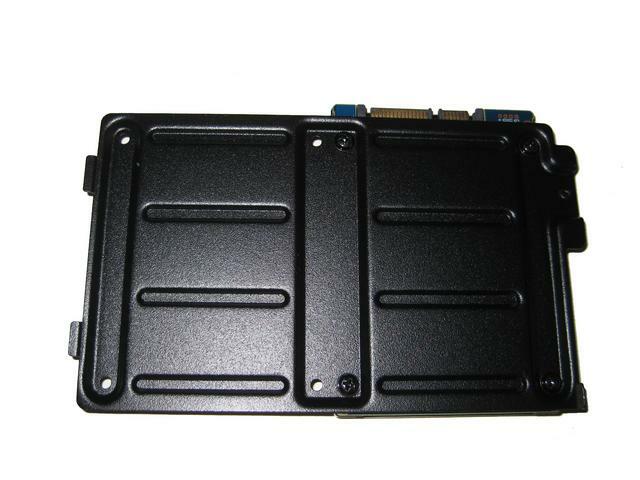 The mainboard tray has two cable recesses with rubber protection so that all necessary cables can be laid clean. 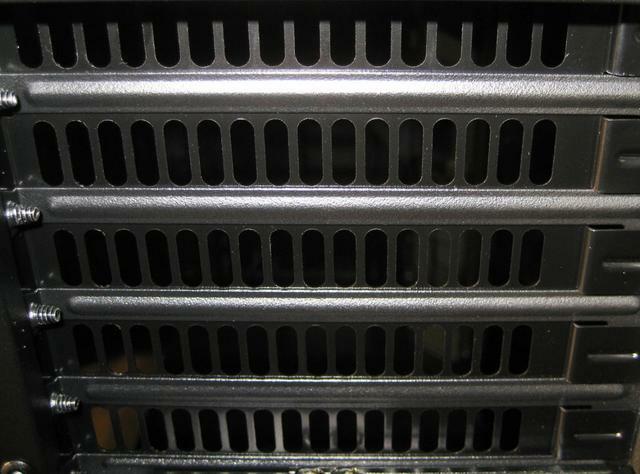 Two 120mm or 140mm fans can be installed on the front panel and the top of the chassis. A 120mm or 140mm fan can be installed at the rear. It is a pity that there is no fan inside. The most special thing is that the case has a graphics card an GPU holder, and can be fine-tuned up and down. 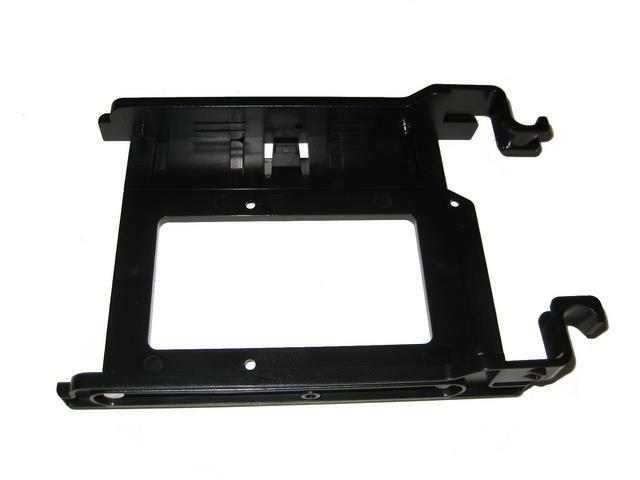 The adjustable GPU holder also prevent the graphic card from being overweight and bent, and the advantage of the inverted structure is that the bracket can directly contact the graphics card PCB or the backplate, which will prevent the bracket from blocking the video card fan. You may remove the front panel. A removable dust filter is attached. We go to the opposite side. On the back of the mainboard tray a generous opening ensures that access to the backplate of CPU coolers is ensured even when the mainboard is installed. There are two Velcro, which is convenient for the user to organize the back line and make the chassis appear more clean after installation. Here is the removable 2.5 inch hard disk frame. It can hold two 2.5 inch hard disks. You can unscrew the bracket by removing the screw on the right. 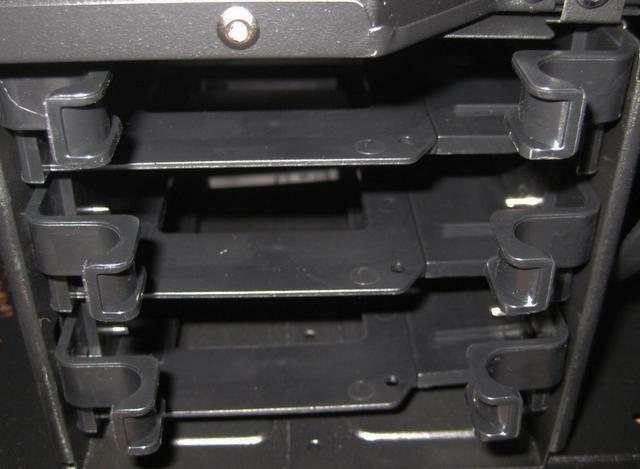 In the lower part there is a removable cage that can hold three 2.5/3.5-inch hard disks. In the rear is the aforementioned PSU bay on the bottom. The power supply will rest on four rubber dots, which will curtail any vibrations it may otherwise pass on to the frame. The installation of the mainboard is easy. Installing the motherboard is done by traditional means, with the use of spacers and screws. 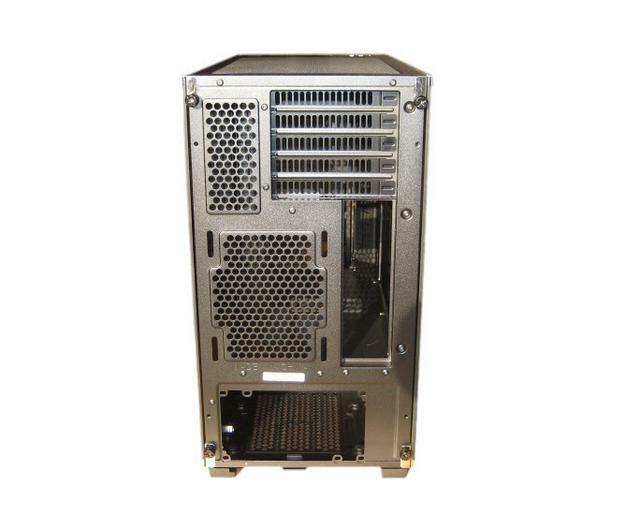 With inverted motherboard tray design, raphics or expansion cards installed into the LD01 can intake fresh air from above the chassis compared with traditional layout that has the PSU & drive cage shroud limiting airflow. 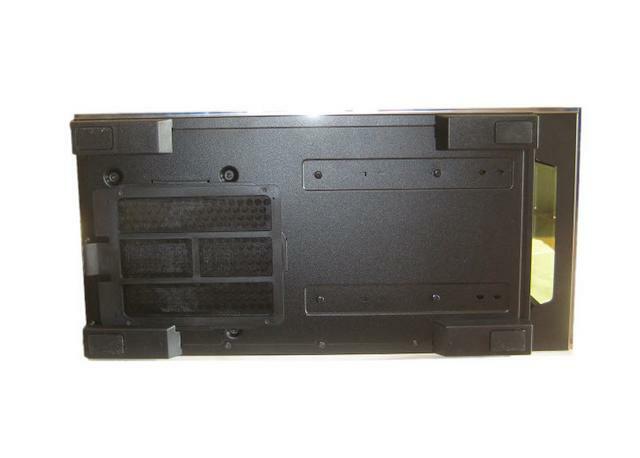 Another benefit of the inverted layout is that graphics card supporter will make contact only with graphics card's backside, thus eliminate potential interference with graphics card fans. In the upper area is enough space for the installation of a radiator with his fans. 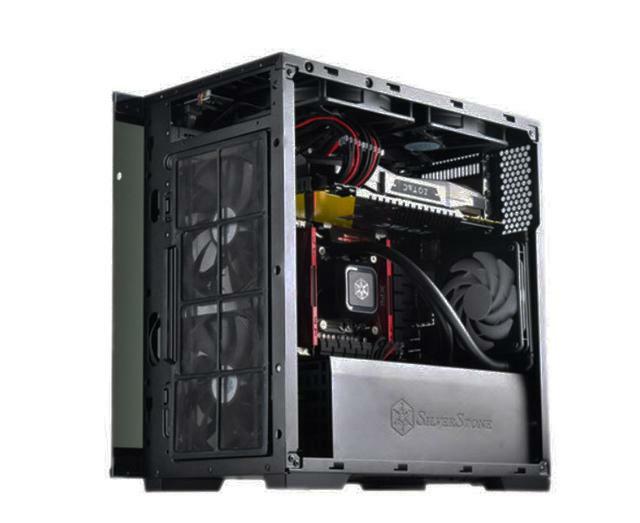 The Silverstone LD01 will fit graphics cards up to 37cm in length(without installing the front fan/s). 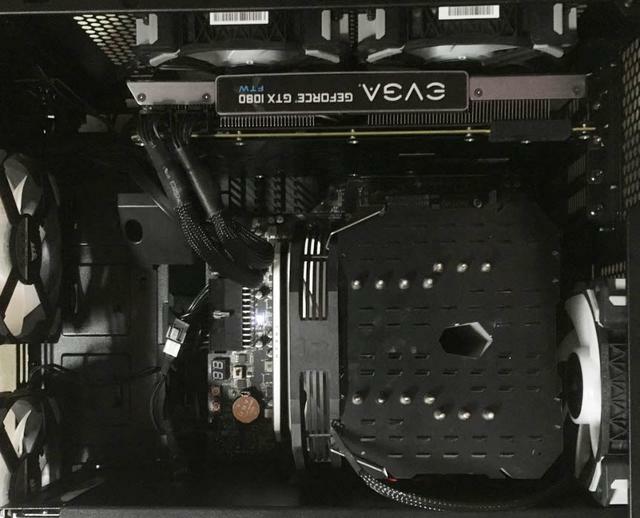 The Evga GTX 1080 we use fits in without any problems and there is still enough space behind the graphics card. There is plenty of space for a large CPU cooler as Silverstone mentions compatibility with 168 mm towers. 3.5" drives do not require any tools as the black tray may be pulled apart slightly, allowing you to place the drive and then snap things down by squeezing the tray back together. Once filled, it slides right back into one of the three spots and is nice and secure. Installing an SSD can easily be done on the plate. Simply take it off the motherboard tray and secure the drive with the included screws. Once filled, you may put it back on to the chassis. 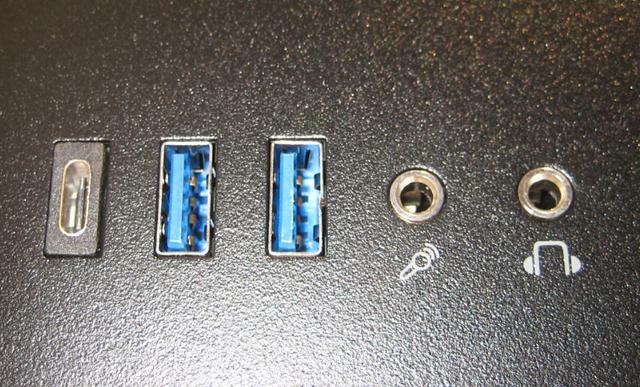 Thanks to the slight separation between the motherboard tray due to the shape of the tray, you will not have any issues connecting cables to the drives either. Installing a PSU is done by traditional means, by sliding it into through the side and securing it with the supplied screws. 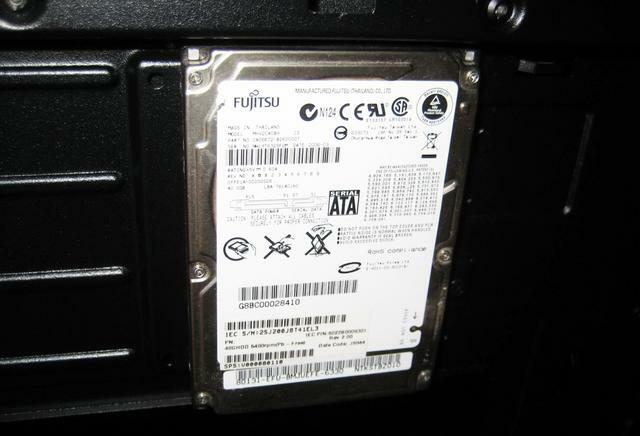 A power supply with 160mm length can be installed if the hard disk case does not move further. 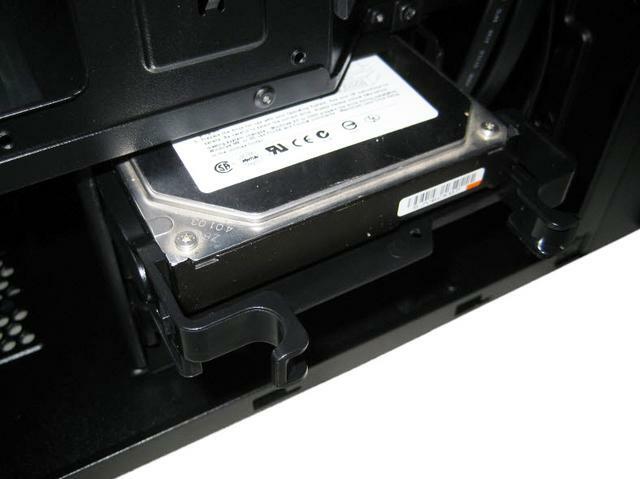 You can push the hard disk cage to the front end, in order to support 220mm length PSU's. 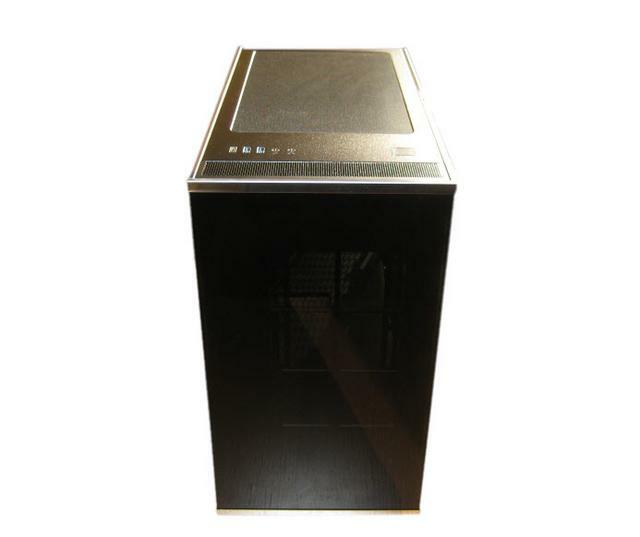 There is a disadvantage that it will sacrifice the water cooling and fan space at the front of the casing. With everything inside, the LD01 makes a really good impression. The window is perfectly sized to show the entire board, the GPU, and any cooler you may have installed. The back leaves hardly any options to lay the cables hidden, so we are very pleased that the side cover is very dark tinted. So we can still see cable, but only with a very close look. Room temperature is kept at 22C throughout my tests. Given the absence of fans, the LD01's relatively lacklustre thermal performance shouldn't come as a surprise. In fact, we'd say it performs better than expected. The CPU delta T of 61C is certainly warm, but we've seen worse from the likes of the Phanteks Enthoo Evolv ITX with 1 x200mm front fan. For the LD01, adding a 120mm rear exhaust fan would easily sort things out on the CPU front. 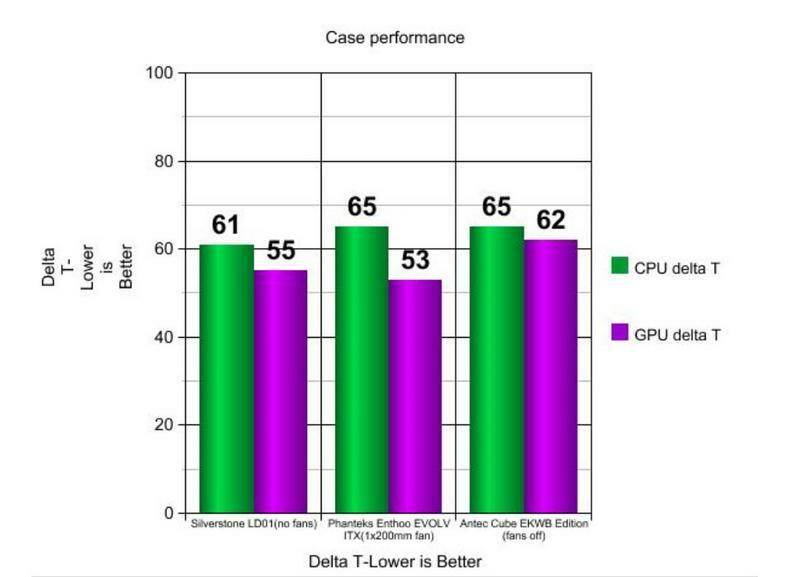 The GPU delta T of 55C, meanwhile, is mid-table rather than bottom of the pile. The LD01 may be devoid of intake fans, but the large, porous area directly beneath the GPU ensures it does have access to at least some cool air. Adding a fan or two in the front, would obviously see a lot more air reach it, which could reduce noise by keeping the automatic GPU fan control at a lower level. Speaking of noise, the LD01 of course produces none itself, and it's actually quite well sealed too. Adding fans would change things up, of course, but we can certainly see a quiet but powerful air-cooled system being a possibility here. Design wise the Silverstone LD01 case does strike a nice cord on its looks, as previously said many times in this review, its all focused on the glass. It has to be said though, personally I love the way this case looks. 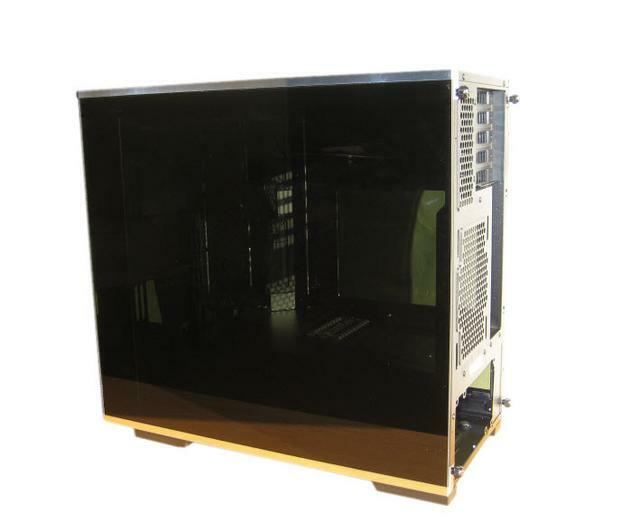 The glass, glass, and more glass look is what I’ve been looking for from a case for a while now, and with this case’s large side panels, and front glass cover for the fans, it looks stunning. Its sleek lines and a thin, but well-constructed frame only add to the build quality. The steel bands not only add a touch of premium feel but also protect the glass and simplify installation. 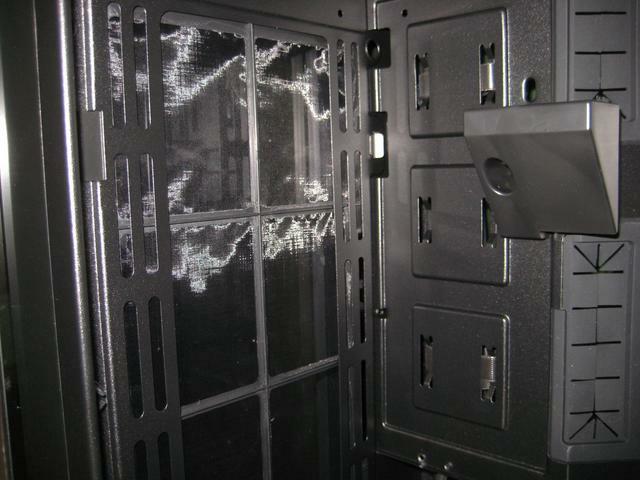 The front connectors are very well placed and are up to date and there are removable dust filters everywhere. The dark inside and cable will complement your components. Despite it's majestic shape, the Silverstone LD01 remains a fairly compact chassis, you can house an micro-ATX motherboard in there but anything larger on form factor would be an issue. The LD01 has pretty much everything you need or require. The chassis has nice motherboard cutout and there's enough space left for cable routing through the grommet holes. The airflow is done right, the space (limited to micro-ATX motherboards) offers plenty of options, features like the SSD/HDD space. There are no big issues with the LD01, but if I have to put one at the very top of my list, I would pick the absence of fans. Most potential customers would like to have a fan or two in the chassis, but we realize that in many instances the pre-installed fans get stripped from the case for AIO coolers, or for fans that will match a theme or produce minimal noise. We appreciate that Silverstone leaves that decision up to the user so that the amount of noise and airflow inside of the LD01 is all up to you. Its design belies its cooling ability as well, as even without fans it's able to better some cases that include them, and adding your own would improve the situation further. 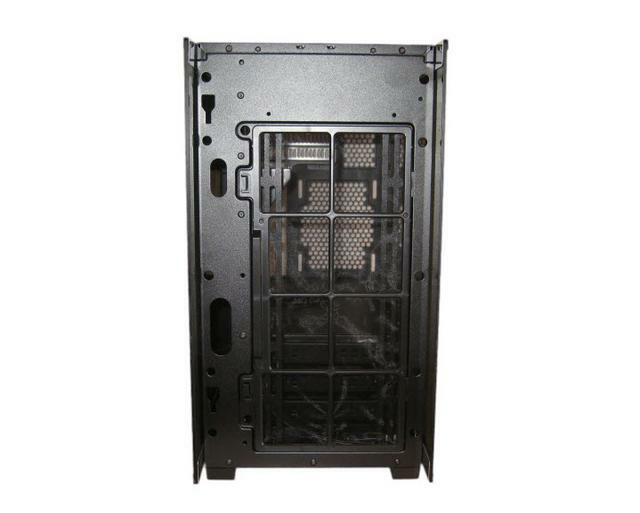 There are five total 120 / 140mm fan slots around the case with maximum radiator support at front, top, and rear. So as of writing this review, this case is currently on market for €104 which I can not argue with. Compared to other Midi towers, this is a bargain with the amount you get for your money. Other cases really don’t come close to this price point and give you so much. So I think it’s pretty fair to say that this case for me is a winner. If we were pondering a Mini-ITX or Micro-ATX build and were not looking for the smallest chassis possible, the Silverstone LD01 Mini-Tower Chassis would be at the top of our list. You may find many similar offerings, and they may even come close, in price, but we are certain you will not find one, with the level of fit and finish that Silverstone has presented here today. 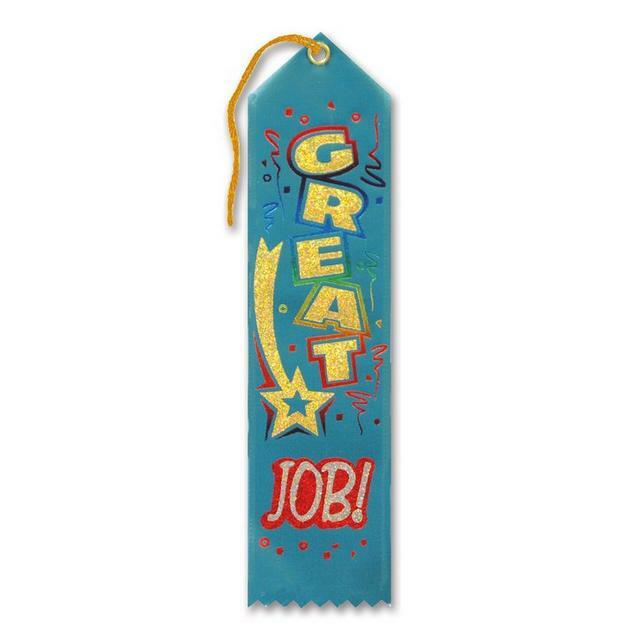 Last edited by testman78; 10-31-2018 at 12:35 AM. I found Silverstone quality good in the past. Need to start a new build soon. Thanks for this review.